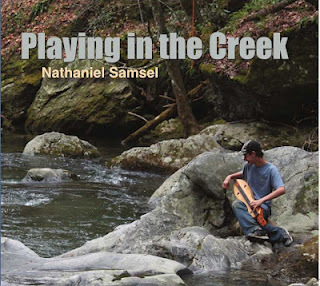 Playing in the Creek is my debut CD. Preparing for and recording this CD was a great experience. I recorded the CD with Stephen Seifert, and it includes a couple of songs that are duets with him. I recorded all public domain songs; however, it has a big variety of different sounding music on it. All of the songs are played on a Cherry-Spruce Custom McSpadden Dulcimer. 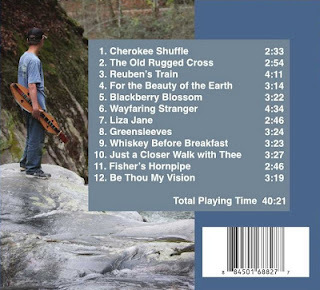 I am extremely happy with the way it turned out and look forward to sharing Playing in the Creek with you! Nathaniel is an improviser with a lot of heart. When we did multiple takes of the same tune, I could tell each one was a unique performance. This is why he is one of my favorites. Keep an ear on Nathaniel Samsel. 1. Write a check for $15.00 plus $2.50 for shipping and handling.